For our purposes here, free themes will be considered musical material written by someone else that is not associated with any lyrics. It may be a theme from another musical composition or newly written material. 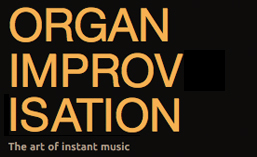 Other examples from improvisation competitions are shown below. See also the themes from the 1953 Haarlem Improvisation Competition. There are also links to hear the performance of each of the competitors. This entry was posted in Themes and tagged Competition, free theme, Haarlem. Bookmark the permalink.